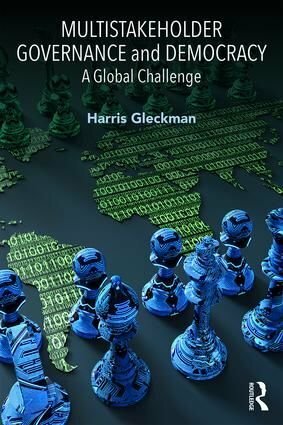 In his book, Multistakeholder Governance and Democracy: A Global Challenge, Dr Gleckman contends that multistakeholder governance is being proposed as the new way forward in global governance. For some in civil society and government, it is because they are frustrated with the lack of power of the UN system and multilateralism; for others, particularly in the corporate world, because they want a more direct hand and potentially a legitimate role in global governance. This book examines the challenges presented to multilateralism and democracy by the further development of multistakeholderism. 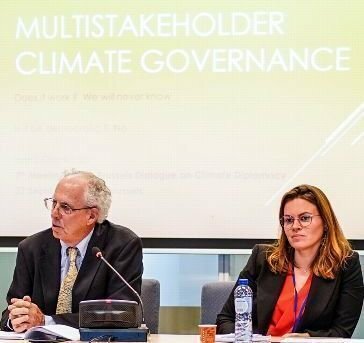 From a theoretical, historical perspective it describes briefly how the debate on global governance evolved and what working principles of multilateralism are under threat from multistakeholder governance. From a sociological perspective, the book identifies a series of organizational beliefs shared by participants in multistakeholder groups and the likely changes in the roles that leaders in government, civil society, and private sector will face as they evolve into potential global governors. From a practical perspective, the book addresses the governance issues which organizations and individuals should assess before deciding to participate in or support a particular multistakeholder group. The practical chapters are based around sets of key issues and questions with case study examples used throughout the book. Dr Gleckman has a long engagement in climate governance extending from presentations on behalf of the UN Center on Transnational Corporations to the negotiations for the 1992 climate convention to serving as senior advisor on macro-economic issues in the Office of Executive Secretary for the 2009 Copenhagen COP. He is the former Chief of the New York Office of UNCTAD, Project Planning Officer for the first UN Financing for Development Conference, and Chief of the Environmental Unit of the UN Centre on Transnational Corporations.